Best Riverside Appliance in Town. 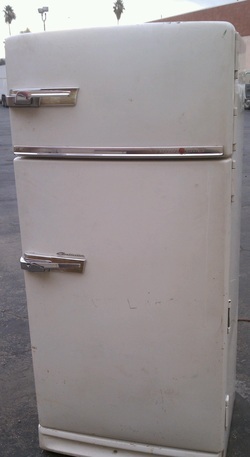 This model Ge refrigerator is still running today, and believe it or not is a prized possession of Riverside Appliance. Did you know Old Model Refrigerators and antique appliances are in high demand in the Hollywood production companies or collection industries. In fact, some of Riverside Appliances products and collectors items have been sold for movie sets for millions to enjoy.